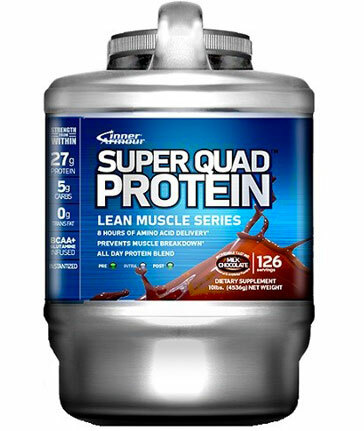 Other Products by Rugby Supplements. Search other Pre-Workouts products. 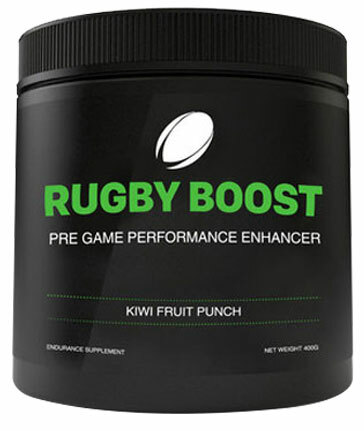 Rugby Boost by Rugby Supplements is the first pre-workout designed specifically for rugby players. However, Rugby Boost is great for any sports competitors such as AFL Players, league players or even for use by the weekend warrior in the crossfit gym. Rugby Boost contains 3000mg of creatine which is designed to recycle ATP, Adenosine Triphosphate (energy molecule) so would be ideal for such manourvres as repeat tackling. Rugby Boost also contains 1000mg of Beta Alanine which increases levels of carnosine in the body. This mode of action offers a buffer to lactic acid build-up wihich is responsible for muscle fatigue, thereby increasing muscular encurance and delaying time to muscle fatigue. Rugby Boost contains a 1.4: 1:1 ratio of BCAA's - Leucine: Isoleucine: valine. The BCAA's are able to provide cellular energy to working muscles and also play a crucial role in protein syntesis. Leucine is the main amino acid lost during itense physical acitvity and need to be replenshished for lean muscle gains to occur. The additon of electrolytes to Rugby Boost is ideal to muscle hydration and water balance which is essential to correct muscle function. With 150g Green Coffee Extract - caffeine per serve, Rugby Boost will ensure an energy boost that will last the whole game, not a crash when you're half way through the second half. Mix 1 scoop of Rugby Boost with 400ml of cold water and cosume 15 minutes before KickOff. Ingredients: Dextrose, Creatine Monohydrate, Branch Chain Amino Acids (Leucine, Isoleucine, Valine), Food Acid (Citric Acid), Beta Alanine, Electrolyte Blend (Potassium Citrate, Sodium Citrate, Sodium Chloride), Flavours, Green Coffee Extract (Caffeine), Sweetener (Sucralose), Colours (Curcumin, Copper Chlorophyllin, Cyanocobalmain (Vitamin B12).